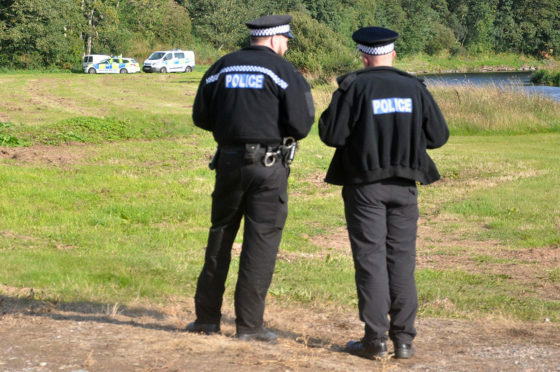 A man has died after falling into a fast-flowing north-east river on Friday afternoon. The man got into difficulty on the River North Esk south of Marykirk, which is a popular destination among salmon fishermen. Police said they are treating the death as “unexplained” but there are not believed to be any suspicious circumstances. The emergency services were called to the picturesque spot near the Canterland fishing hut at 2.15pm after a member of the public reported concerns for the welfare of the man. Fire engines from Brechin and Montrose attended and a special water unit was called from Aberdeen’s Central Station to help retrieve the casualty from the water. A police spokesman said: “Police, along with other emergency services, were called to the River Esk in relation to concern for a man in the water. “Sadly he was pronounced dead at the scene. His next of kin have been advised. The spot, near the border between Aberdeenshire and Angus, is a favourite among anglers but it was hit by tragedy in May. A full-scale emergency response was scrambled after a man got into difficulties while wading in the water near Craigo three months ago. A witness said at the time: “He was apparently wading upstream and got pulled in. The River North Esk enters the North Sea four miles north of Montrose and forms the boundary between Angus and Aberdeenshire at certain stages in its course.